Established in 2009, Mérieux Développement is an evergreen fund specialized in the healthcare sector, conducting growth and venture capital investments. Mérieux Développement works alongside entrepreneurs and companies worldwide, offering access to its industry expertise and global network. Founded in 1999, Turenne Capital, an independent management company approved by the AMF (Accreditation n ° GP99-38 of December 6, 1999), specializes in the equity financing of SMEs and ISEs to accompany them in their change of dimension. The Turenne Capital Group has more than 920 M€ under management / advisory and supports more than 250 participations in their development. The team is made up of 51 people including 34 investors located in Paris, Lille where Nord Capital is located, its joint subsidiary with Crédit Agricole Nord of France, Lyon and Marseille. Turenne Capital has developed a proven expertise in private equity in the following key investment sectors: Healthcare, Hotel Trade, Innovative Industry, Environmental Technology, Specialty Distribution, Services, and Information Technology. Launched in July 2014, Sham Innovation Santé is an evergreen Venture Capital Fund advised by Turenne Capital that invests in venture capital in biotech and medtech companies. Sham, a major Mutual Insurance Company based in Lyon, is the Fund sponsor. By investing in venture capital and expansion capital over the last 15 years, Turenne Capital has been working with numerous local companies such as Quadrimex, Trophos and Impika. 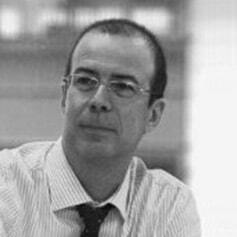 Turenne has been advising the PACA region’s investment fund since 2010. Backed by the European Regional Development Fund, this Venture Capital fund has invested EUR 27.6 million in over 62 local innovation companies in their start-up or growth phase. Its capital will be gradually increased up to EUR 80 million. CAAP CREATION is one of the investment funds of Crédit Agricole Alpes Provence. It participates in equity in the young innovative companies of its territory : the Bouches-du-Rhône, Vaucluse & Hautes Alpes French departments, located in the heart of Provence. 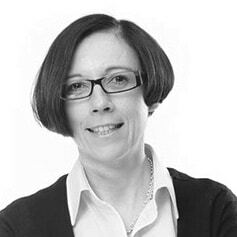 Anne Reiser served as the President of Emea-Apac-Japan at ResMed Inc. from 2014 until 2017, previously she was President of Europe at ResMed Inc. since 2012 after running the French business since 2006. She has run her entire career in the Medical Device (Medtronic, Hollister, Zimmer, American Home Product and Mölnlycke) with leadership positions in France and Europe. She has been a board member during several years of the French Manufacturing Association and the French Notified Body (LNE). She holds a master business degree from E. S.C. Clermont-Ferrand, a bachelor in Law and an executive master from Sciences Po Paris. She has been based in France, Germany and Dubaï. Adrien graduated as an engineer from ESIEE Paris and ESSEC Business School, and has specialized in medical device development. He runs PhysioAssist with the continuous challenge of developing the technological expertise for the optimal benefits to the patients and healthcare professionals. He put together a performing team to develop, industrialize and market Simeox product. Valérie Calenda started her career as research scientist iHematology and Virology at the Institut National de la Recherche Médicale (INSERM). After collaborating at a French/US research program on HIV at Davis University in California, she joined Transgene, an affiliate of Institut Mérieux focusing on immunotherapy, in 1994 where she was in charge of several projects focusing on HIV and Cardiovascular areas until 2000. She then led a spin-off project in cardio-vascular therapeutic area before collaborating with a Paris based seed Venture Capital firm. Valérie also managed several biotech clinical-stage product developments within the infectious diseases and oncology disease areas, from pre-IND to Phase 2. This led her to manage both in-licensing and out-licensing activities, including global license agreement and alliance management with Hoffman La Roche, acquisition of biotech assets in Europe and in the US.Valérie joined Mérieux Développement as a Partner in January 2010. Valérie received her PhD in Pharmacology from the University of Marseille and . She holds a degree in Hematology and a B.Sc. in Biochemistry-Immunology from the University of Marseille. Mounia CHAOUI is a general partner at Turenne Capital since 2013, where she is responsible for growth/buyout capital in the healthcare sector. Mounia has previously worked as a life science investor with Ventech, INSERM Transfert Initiative, and Atlas Venture. She is a board member of several companies that have been acquired (e.g., Biovex, sold to Amgen for up to $1B) or have gone public on NASDAQ or Euronext (e.g., Tigenix). Mounia holds a PhD in Biophysics and a degree in Engineering from Ecole Centrale, Paris. 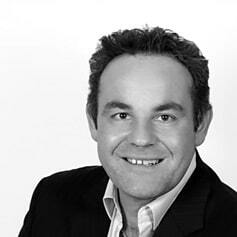 Richard GUILLAUME has been the General Manager of Echosens from 2008 until 2013. He was previously Executive Vice President Global Sales and Marketing at Blatchford , a UK medical device company . He was also member of the board. Prior, he held various positions such as Director Global Marketing of Abbott International in Chicago and Director Category Development Europe of Mead Johnson. Richard holds a Master in Business Administration from Poitiers University and a DESS in Marketing from Paris Dauphine completed by a General Management program at INSEAD. 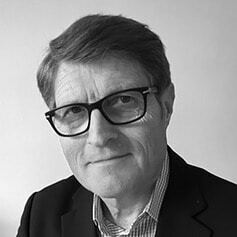 Richard has a large experience in international management and operations in the pharmaceutical industry as well as in the Medtech. Marie Desportes started her career in 1988 as an Associate at Epargne Partenaires, a private equity firm. She then worked as Finance Director for a TOTAL Group manufacturing joint venture in China. 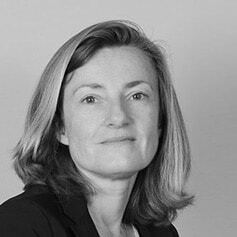 In 1995 she returned to Epargne Partenaires as Investment Manager, at the same time gaining a postgraduate diploma in company diagnostics from Université Paris Dauphine. 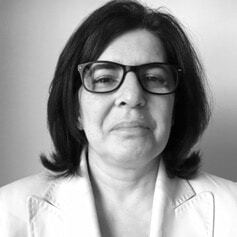 In 1999 she moved to Marseilles as Administrative, Finance and HR Director of the Bruschet Group (PACA-region automobile distribution group: Opel, Citroën, Fiat sales of EUR 120 million). 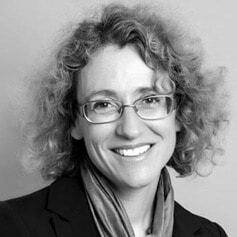 She joined Turenne Capital in 2010 as Managing Partner with responsibility for the Marseilles office. Marie is a graduate of the Institut d’Etudes Politiques de Bordeaux, and also has a degree in Chinese Literature and Civilisation. After a two-year spell at the University of Nanking in China, she completed her education with a Master in Management from the Ecole Supérieure de Commerce de Paris. 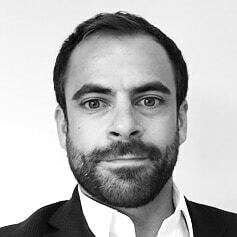 Armand PERRIN started his career as Key Account Manager then Senior Key Account Manager at Banque Populaire and Crédit Agricole Alpes Provence. He operates the equity fund of Crédit Agricole since its creation in 2006. Armand owns a Post graduate Degree in General Economics and a Master Degree in Agrobusiness Economics. With a strong background, Armand has invested more than 120 innovative projects throughout the years, in all kinds of business fields. He supports Physio Assist since its creation. Co-founder of Physio-Assist and co-inventor of the Simeox, JS Lantz is specialized in managing and financing innovation and has backed several blocbuster start-ups like Selerys. Recognised as a leader in his field, he also conducts missions on behalf of global corporate organisations and national Governments. Over the last twenty years JSL addressed various costumers adapting his methodologies to the specific needs of such global organisations as MICROSOFT, AREVA, DANONE, L’OREAL, GENSIGNAL, ORTEC, SKF, PELLENC, MAN, NTC Thaïland, TUNISIANA, SAI Oman, Policy Tracker, Conseil d’Analyse Economique of France and CDC, Agence France Brevet, European Commission and various closters of technological innovation worldwide.